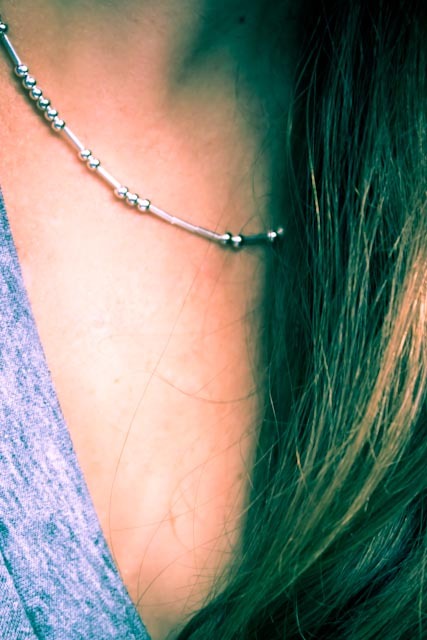 I LOVE wearing jewelry that has meaning...and I LOVE for that meaning to be a little hidden...so I instantly fell in LOVE with the idea of using Morse code to make necklaces. 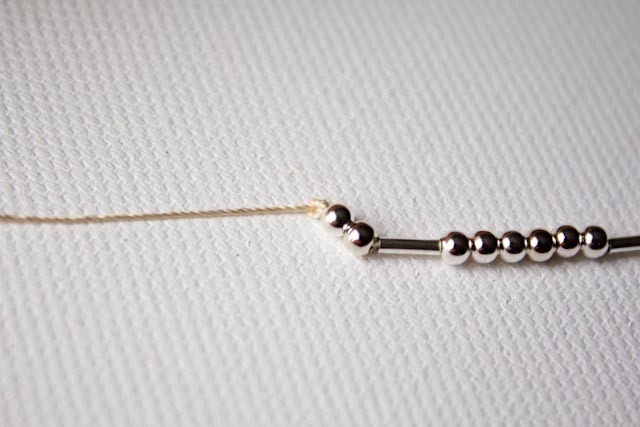 I was inspired to make my own after seeing a Morse code necklace from COATT. 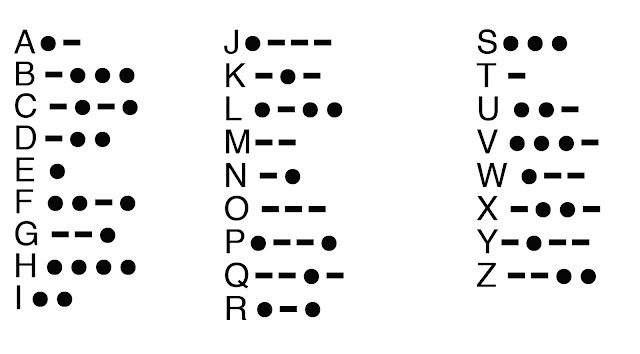 Morse code is easily translatable using round beads for dots and tubular beads for dashes. These necklaces are easy to make, and simple and sweet to wear...and every time I wear mine, I think about what it means to me. You can always translate your name, word or saying, letter by letter using the Morse code alphabet above, or you can use an online translator such as the one found here. Once you have translated what you want your necklace or bracelet to say, you are ready to get started. 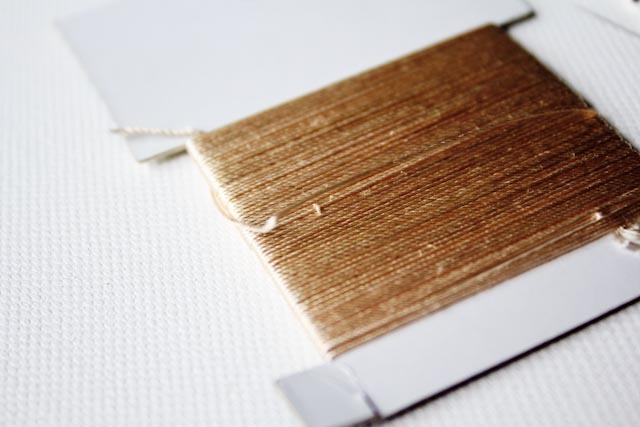 Cut the silk cording to the length you prefer, but remember the silk is very light and works better in shorter lengths. 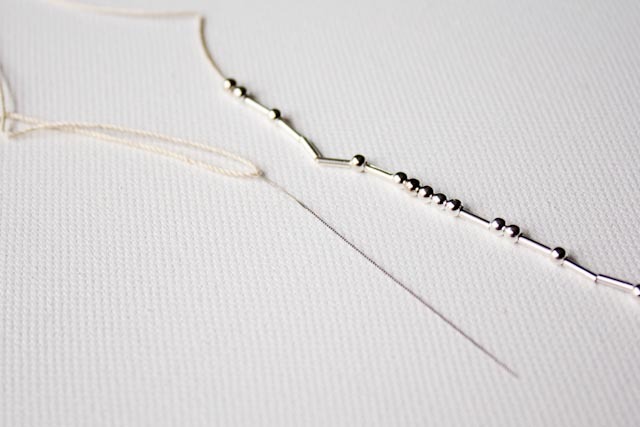 Thread your beads in the direction the viewer will see them- your last letter should come first. 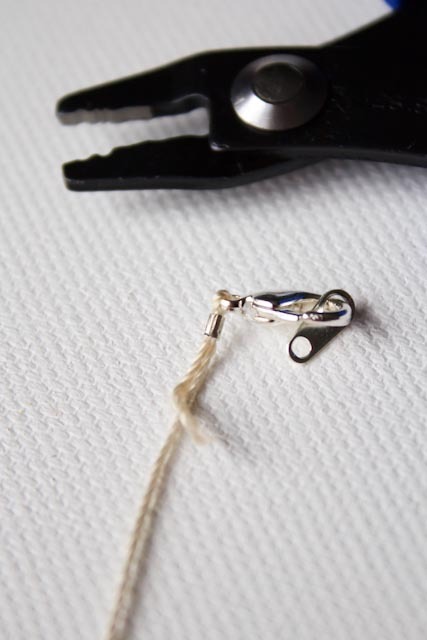 When attaching your clasp, thread the crimper bead on first and then the clasp, looping the cording back through the crimper bead. 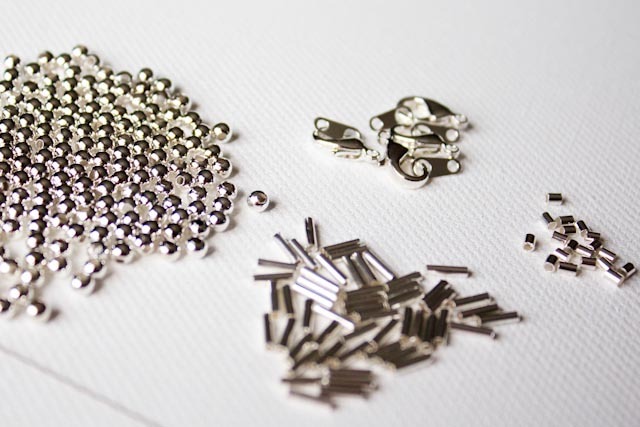 Use the crimpers to secure the bead in place. 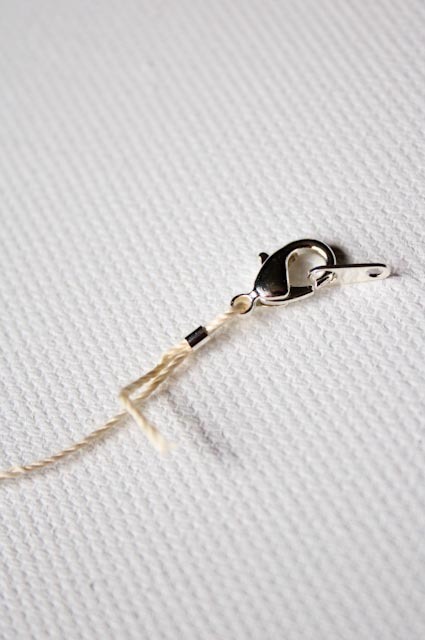 Once secure, trim the cord, and follow the same steps for the other side of the clasp. 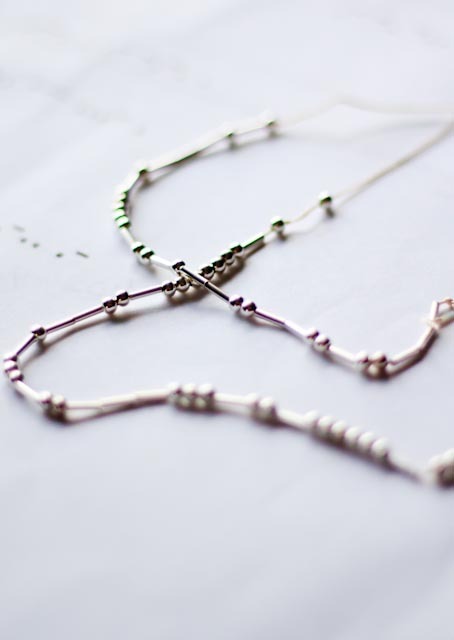 Within 15 minutes, you will have a simple and sweet necklace that has much more meaning than at first glance. Some of the necklaces I have made have said "live and love life" , "forever, I do" , "at peace" and "in love" . I just made my mom a five strand necklace- each strand with one of her grandchildren's names on it. That is sooooo cool! You are so clever! Finally read some relevant information! I know what morse code is right now. 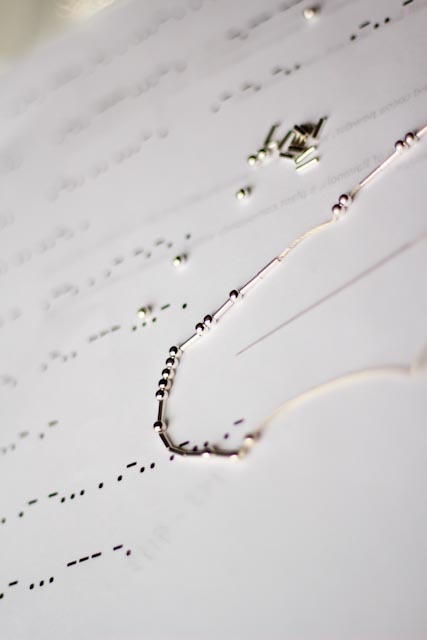 The nicest way to use Morse code. I love it! it is super cool! Photo challenge: this is "comfort"
Photo challenge: these are "signs"
Photo challenge: this is "above"
Maternity Photo Shoot: Jessica and B.R. Photo challenge: this is "music"
Photo challenge: this is "warmth"
Photo Challenge: this is "a smile"
Photo challenge: this is "on the shelf"
Photo challenge: this is "something blue"
Photo challenge: this is "what I wear"
Photo Challenge: this is "love"
Photo challenge: this is "black and white"
Photo challenge: this is your "favorite"
Photo challenge: this is the "horizon"
Photo challenge: These are "patterns"
Photo challenge: These are your "words"
Photo challenge: This was "on the ground"
Photo challenge: This is your "childhood memory"
Photo challenge: This is what you "purchased"
Photo Challenge: This is "What Makes You Smile"
Photo challenge: "trees" and "three things"
Photo challenge: "travel" and "favorite color"